One of our most popular and comfortable rental vehicles we carry. 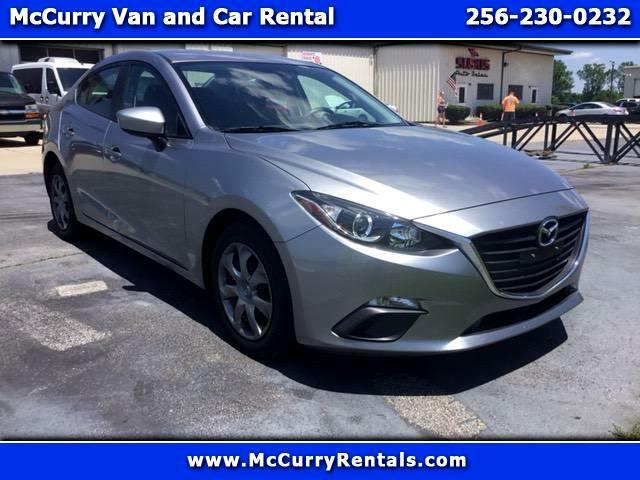 The 2015 Mazda 3 is brand new to our rental fleet and a comfortable 5 passenger rental car. Huntsville, if you need a rental car for any reason, or have a business trip and want to save the mileage on your own ride this the perfect rental car for you. We rent this Mazda 3 rental car for 44 a day and 264 a week. Call McCurry Van and Car Rentals for any of your rental needs or reserve online right now!!!! We have these rental cars and also passenger vans available in Huntsville, Athens, Decatur, Cullman, Muscle Shoals, Florence, Scottsboro, and surrounding North Alabama areas.